A professional quality cutting board that offers plenty of working surface for the commercial kitchen or passionate home chef. 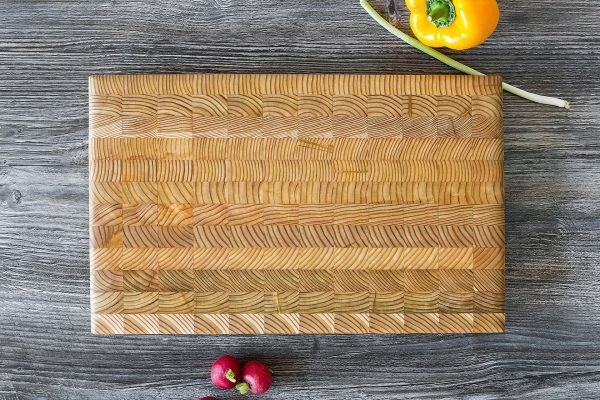 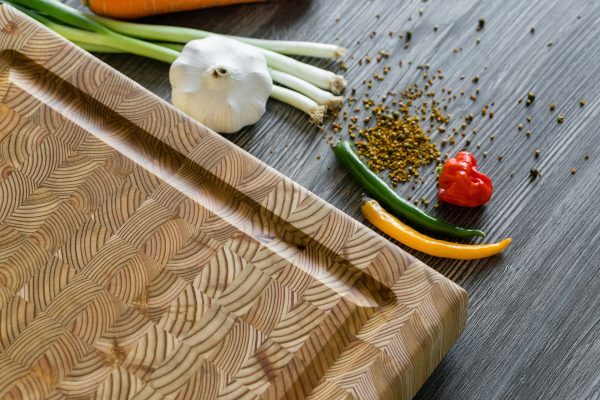 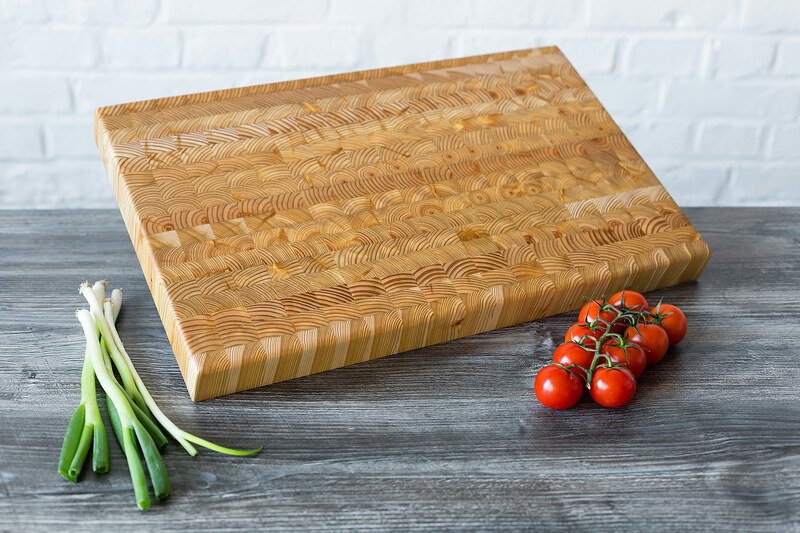 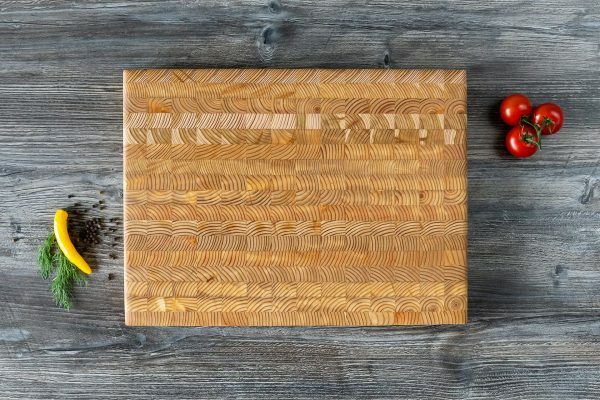 The Larch Wood Large Cutting Board is the perfect board for cooks with ample counter space at their disposal. 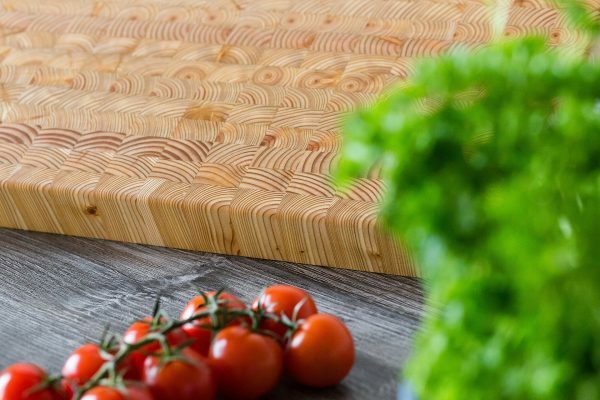 The large, robust, self-healing end grain construction is a pleasure to work on while being kind to your knife’s blade and makes the board a practical choice for chefs in busy commercial kitchens or for daily use at home. 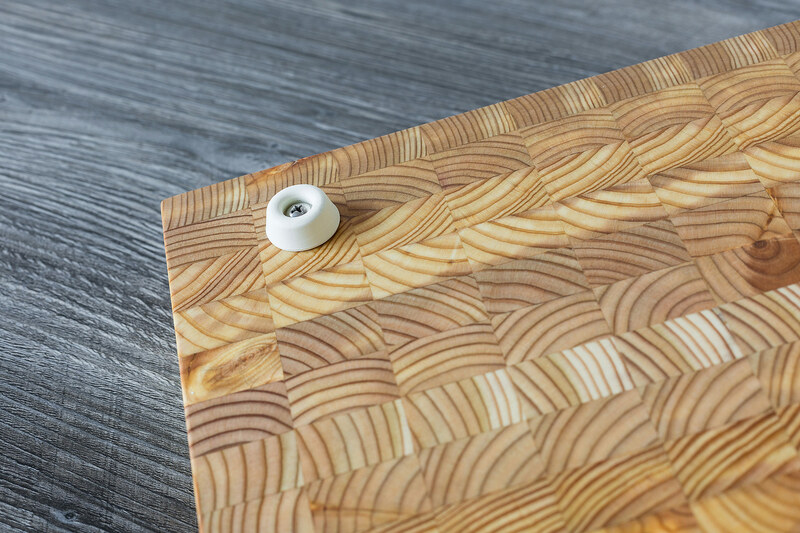 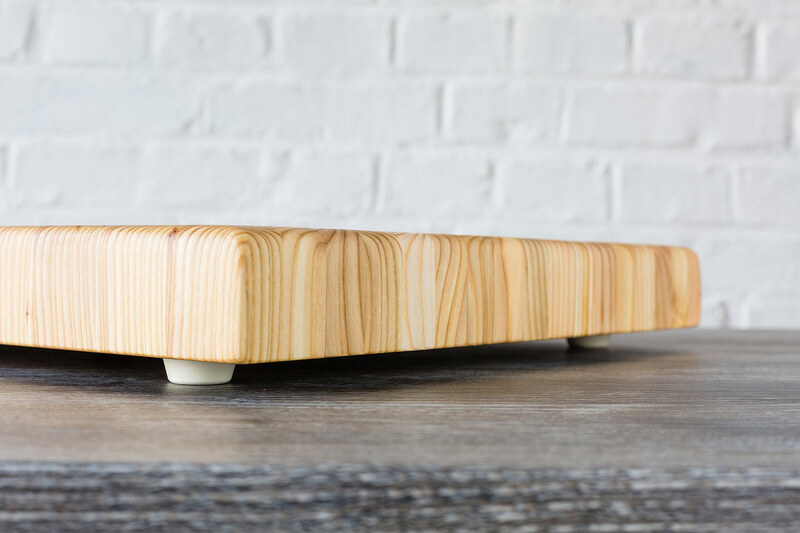 The size and thickness of this end grain board also allows it to be used as a chopping block if needed and the rubber feet attached to the bottom of the board makes it easier to pick up than other boards without feet. 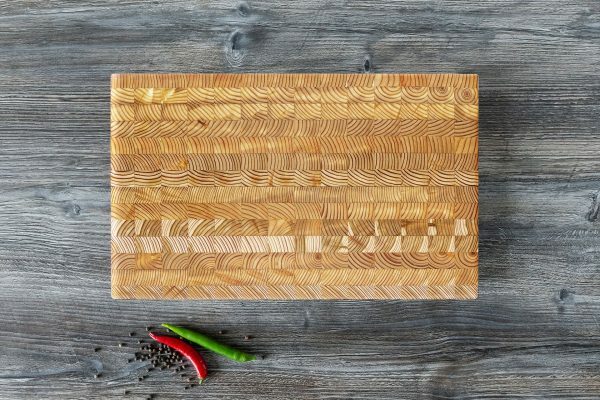 The beautiful patterns of the wood’s growth rings have been arranged with great care by our talented craftspeople making each board a unique piece of functional art. 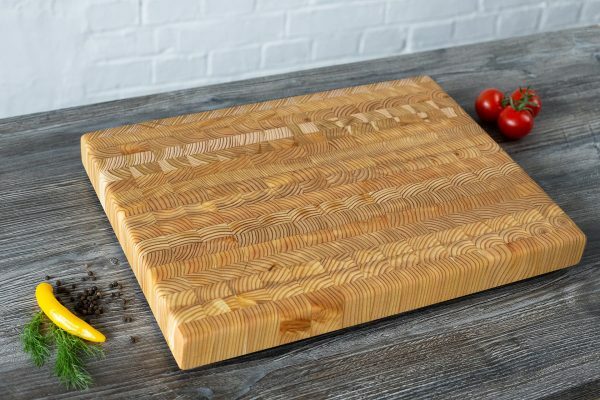 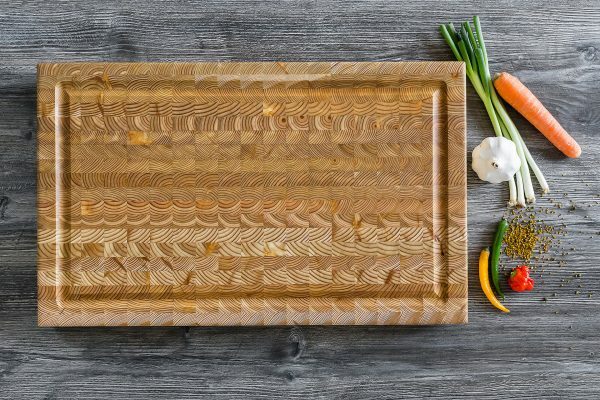 The lumber for all of our boards has been kiln dried for several weeks to reduce the chances of the wood cracking and warping and also gives our cutting boards a consistently superior, quality finish. 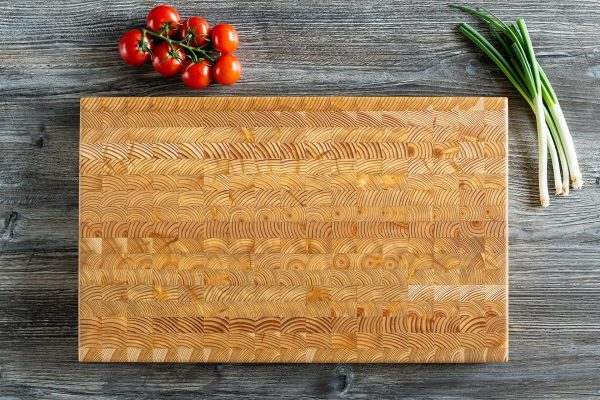 If you are looking for a cutting board without having to make compromises, this is the board for you.